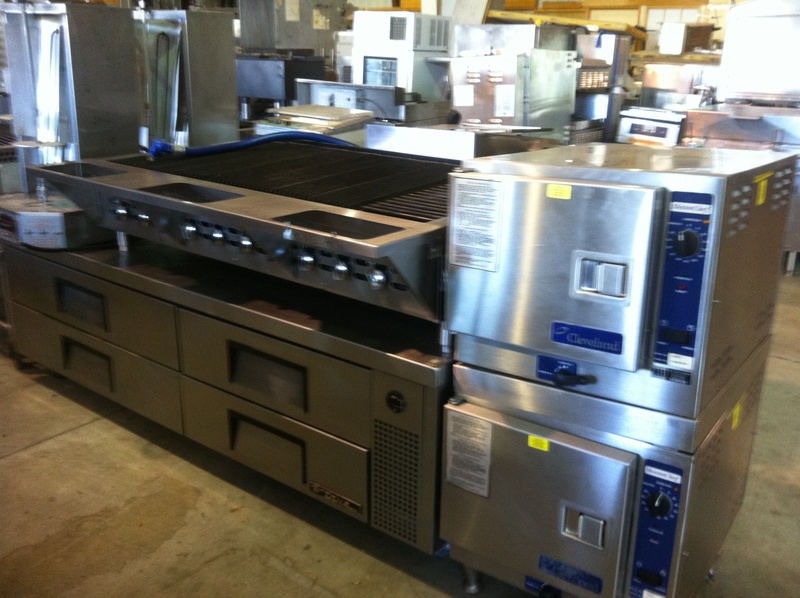 Cash Paid for Used Restaurant Equipment! One Fat Frog Restaurant Equipment in Orlando and Sanford is constantly buying and selling new and used restaurant equipment. One Fat Frog Restaurant Equipment pays cash on the spot for used restaurant equipment and supplies no matter what condition it’s in. No matter if your used restaurant equipment is broken, rusty, filthy, or haunted, One Fat Frog Restaurant Equipment will take a look at it and make you a fair offer. The best way to start this process is to email One Fat Frog pictures of the restaurant equipment you are hoping to sell, along with any information you can give us about it. Please include the age of the restaurant equipment and how much you are looking to sell it for. One Fat Frog will even come by in one of our trucks and pick up the restaurant equipment ourselves in one of our luxurious box trucks. As luxurious as a box truck can get, I suppose. The mighty One Fat Frog warehouse has a constantly revolving stock of new and used restaurant equipment and supplies for everything from pizzerias, food trucks, concession stands, bakeries, restaurants, bars, delis, cafes, etc. Brands we deal in a lot include Imperial, American Range, True, Hobart, Hoshizaki ice machines, etc. Every week One Fat Frog is buying and selling truckloads of used restaurant supplies including ice machines, freezers, fryers, convection ovens, gas range, charbroilers, range ovens, etc. Call or stop by One Fat Frog Restaurant Equipment today with your used restaurant equipment and we will make you an offer!